Hey everyone! “Parallel Chords” will be showing at the STL Filmmakers Showcase at Washington University in St. Louis on Friday, 7/20/2018. If you are in St. Louis or surrounding areas please go check this awesome film out! Here is a quick look of the film “Parallel Chords”. This music driven drama explores issues of consent and control in a young female artist’s life, as she struggles to break free and find her own voice. Sorry for the brief update but I’m currently in Chicago prepping my next project but I really wanted to share this and hopefully those who get to see the film in St. Louis enjoy the film. Until next time! Be Blessed! I just wrapped a fun project with a good group of filmmakers in Orlando, FL. I didn’t think this project was gonna happen because of the crazy weather that has been hitting the east coast but the weather Gods really looked out for us and spared us the hard parts of the storm. Stay tuned for more info from this project. The team I end up meeting in Ohio was Dark Rabbit Productions. This group is a good group of people and they shoot a ton of movies! Matter of fact they wrapped another shoot right before we started our project. 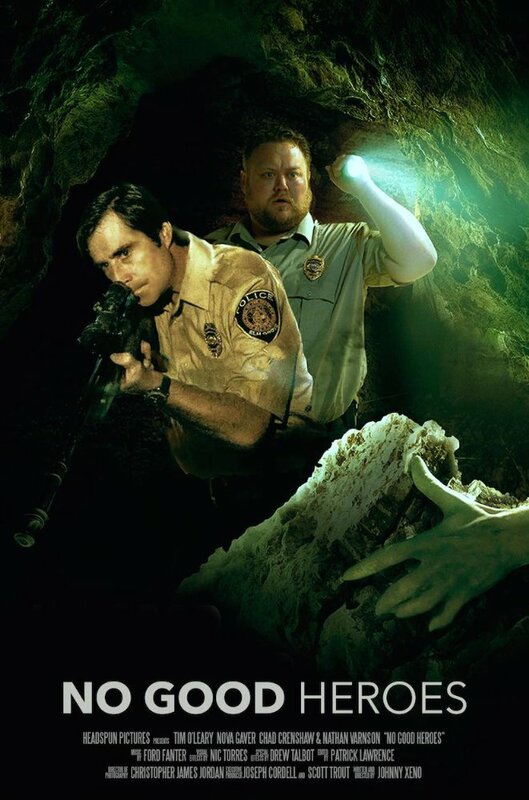 So I had a little surprise in my email and it was the 1st poster for another feature film I did last year. The poster for “No Good Heroes”!! Shout out to Johnny Xeno (Writer/Director) and all the crew behind this project! I can’t wait for this one to come out! The trailer hasn’t dropped yet but you can check out follow my page here or go to the IMDB page for more info! is here!! Check it out!! For more updates: Like the Facebook page!! Hey everyone! Here is another update from one of the projects I did last year in the “Show Me State” St. Louis, Missouri last year. Grandmother’s Murder Club is a dark comedy starring four grandmothers who accidentally kill a con man. When the con man’s partner shows up, things go south quickly. This film stars Florence Henderson, Pam Grier, Judge Reinhold, Randall Batnikoff, Susie Wall and Sally Eaton. And the project is almost finished. We just need your help to finish this movie. Click on the picture for all the Kickstarter information and movie trailer!! “Grandpa’s Psycho” is out in Redbox!!! Hey everyone! “Grandpa’s Psycho” is out and you can see it via Redbox! Go out and see it! Shout out to the director Danny LeGare for bringing me up to Connecticut to work on the movie with him. It was a pleasure to work with the cast and crew of this movie. I can’t wait to do it again!! So I just finished up my 3rd feature film in St. Louis, MO this year and I have to say I finished with a bang and a lot of blood. The film is starring Cameisha Cotton, Nathan Eswine, Adam Hartley Breiman, Jenna McDonald, Dal Pelate, Frankie Ray, Brock Russell & Larissa White and directed by Matt Stuertz. This wasn’t Matt’s first feature film but this was his first feature film where he didn’t do everything by hisself. And I was very impressed with him as a director. He had a learning curve of not having to do everything and use me and the production team so he can just focus on the creative but he said he liked this process a lot better at the end of the day. He has a bright future in this film industry. Once you see this film you will see where I’m coming from. This was a really fun and crazy project. First we scheduled this movie in 2 parts. On each side of Thanksgiving which was kind of interesting and gave me a break to recover and get back into the madness, then on top of that our actors schedules were all over the place but we found a way to finish this project. It was a lot of hard work but I’m sure it will pay off in the end. One of the good things about having a break in the middle of production is that our Director/Editor Matt, edited everything we shot on the first half of the project and the footage looks incredible. The team behind this project is starting to become my extended family. I meet Chris, Jay, and the rest of the Lamplight Films crew when I was hired on to the “Grandmother’s Murder Club” project and 3 films later we have already made some plans to possible do more work together in 2016 already. Meeting these guys and girls in St. Louis is what I’ve been looking for since I stopped working with the Asylum crew that I started out with. They are a bunch of like-minded crazy creative individuals that love to make movies. I am really thankful for the chance to meet them and work with them. Oh and let me give a special shout out to my production team who did a great job. It was Jenn’s first time as a Production Manager and she did a fantastic job. Katie was my 2nd AD for the project and she did great! As well as my PA Nation for the project. Alex, Mellissa and Ryan killed it. They all stepped up big and their hard work was and is appreciated. Until next time, enjoy pictures and links below. Don’t forget to smile and #MakeMovies!!! Ben & Ara Movie Trailer!! 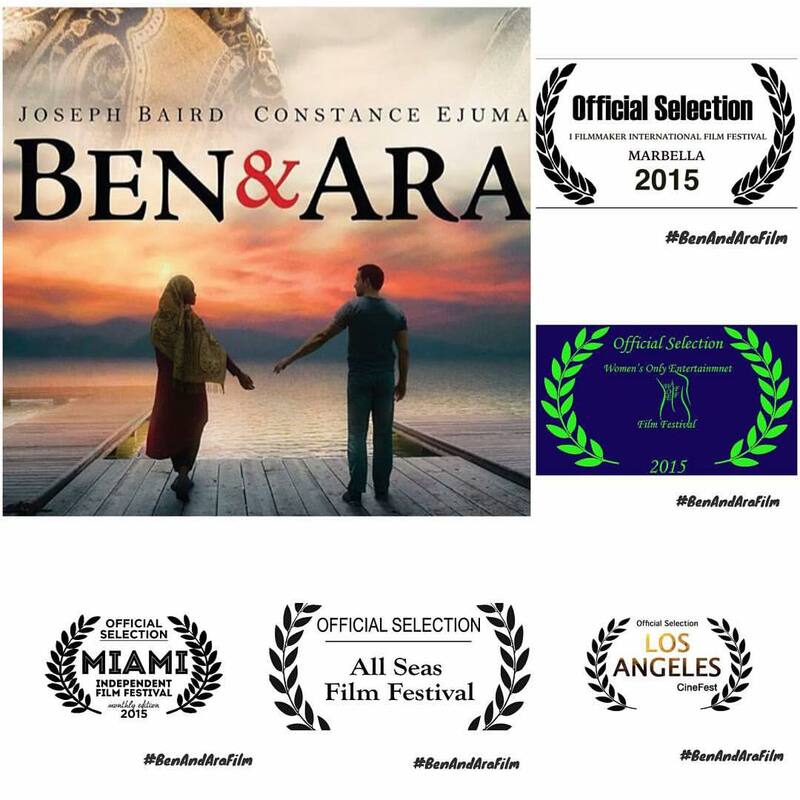 I am very proud to share the movie trailer for the film “Ben & Ara”!! Also in the other news, the film will be making its rounds on the film festival circuit. Below are some of the film festivals the film has already been accepted too!! For more news and updates on this film be sure to add the FaceBook page.